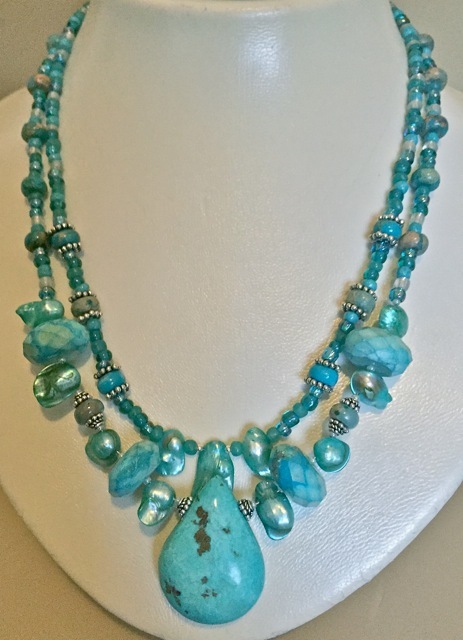 Turquoise Colors Necklace with Jasper, Pearls, Glass & Sterling Silver; Matching Earrings available. 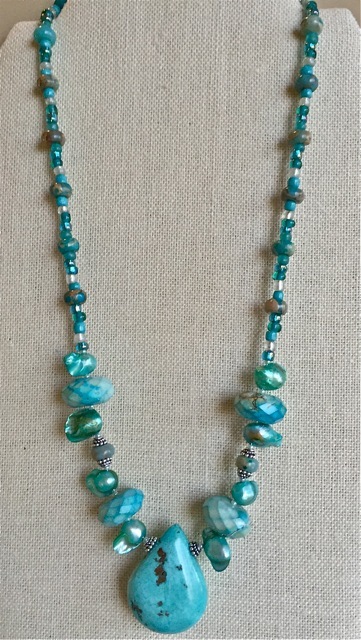 Necklace is 20-3/8 inch long, with Sterling Silver lobster clasp. It can be worn with item 249-vs for a layered look. 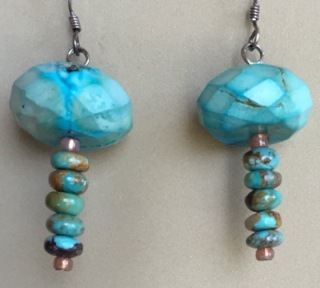 Matching Earrings 169-vs and can be purchased separately. Pearls are for the 3rd and 30th anniversary/birthday. The 5th Chakra, Throat, for light blue colors, eases communication difficulties, helps you express yourself and brings peacefulness. Jasper, for the Base/Root Chakra, helps with grounding and protection.